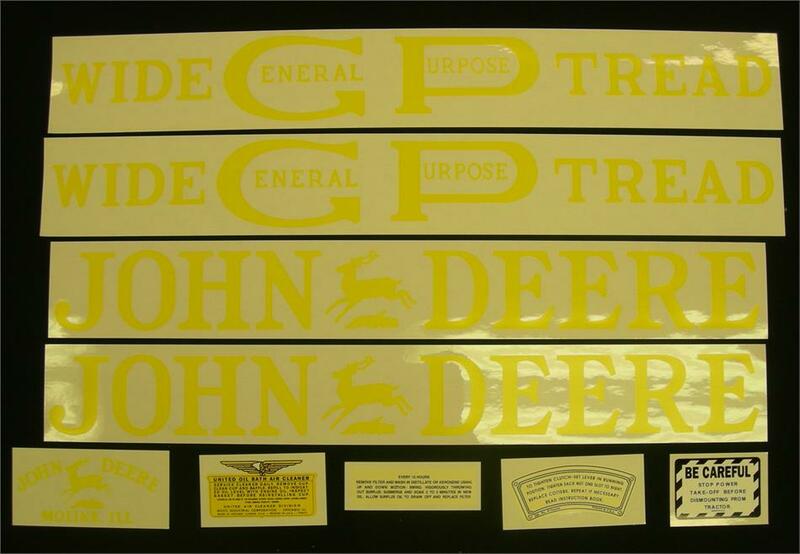 John Deere G.P. (wide tread) unstyled 1923-1938. Home > John Deere Decals > Unstyled Hoods > John Deere G.P. (wide tread) unstyled 1923-1938.